Dom co-wrote several songs on 2015’s critically acclaimed Duran Duran album, “Paper Gods”, produced by Mark Ronson, Nile Rodgers and Mr Hudson. Dom also co-wrote the 2011 critically acclaimed Duran Duran album, "All You Need Is Now", produced by Mark Ronson. Other writer's Dom shares credits with are Mark Ronson, Mr Hudson, Kelis, Ana Matronic (Scissor Sisters) and Nick Hodgson (Kaiser Chiefs). Dom has played lead guitar with Duran Duran since 2006 and has performed with them at Wembley Stadium, London O2 Arena, Hyde Park, Hollywood Bowl, Coachella and Bestival Festivals, Red Rocks, Madison Square Garden to name a few. He has toured the World several times with Duran. 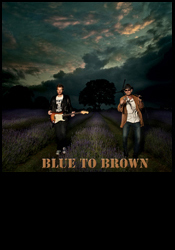 His blues band, Blue to Brown, featuring his father Rob Brown released their eponymous album in 2013 (Remedy Records). 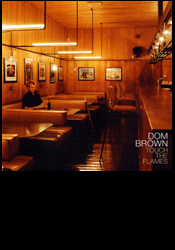 Dom has also released two critically acclaimed solo albums. 'Touch the Flames' and 'Between The Lines' (Remedy Records) featuring John Taylor and Roger Taylor from Duran Duran and members of Faithless, Van Morrison's Band, Primal Scream, Medicine Head and Groove Armada among others. Click here to read the reviews. 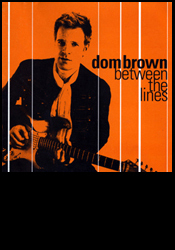 'top UK session guitarist,Dom Brown, clearly has the chops, playing with verve and intelligence... creating groove-driven R&B with a retro feel. Vanity, a seductive song that teeters on parody but for it's wonderfully heavy and audacious funk.' - Mojo. 'Genre- skipping between blues, rock and funk - not to mention heartfelt balladry - at the flick of a pick, Brown's second solo excursion is as impressive for the quality of the tunes as it is for the expert musicianship on display.' - Guitar & Bass Magazine. 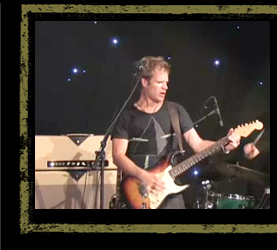 'Well produced melodic rock with soulful, atmospheric vocals.' - Steve Lamacq, BBC Radio. © 2016 www.dombrown.com all rights reserved - site designed by digital nation.